So many of you are off to a GREAT start with your RAD Reading Challenge progress — I’ve loved seeing all of your posts on Instagram of what you’re reading, especially when you’ve branched out into a new genre! I want to make sure you have great options in mind for each of the categories throughout the year, so I’m compiling blog posts for each topic with a bunch of ideas. To clarify (since I was wondering this myself)… the difference between a memoir and an autobiography is really the length of time covered in the book. An autobiography typically focuses on the the author’s entire life, and a memoir usually focuses on one specific aspect of the author’s life. So basically autobiographies are on a bigger scale and memoirs are more zeroed in! Hope that’s helpful. 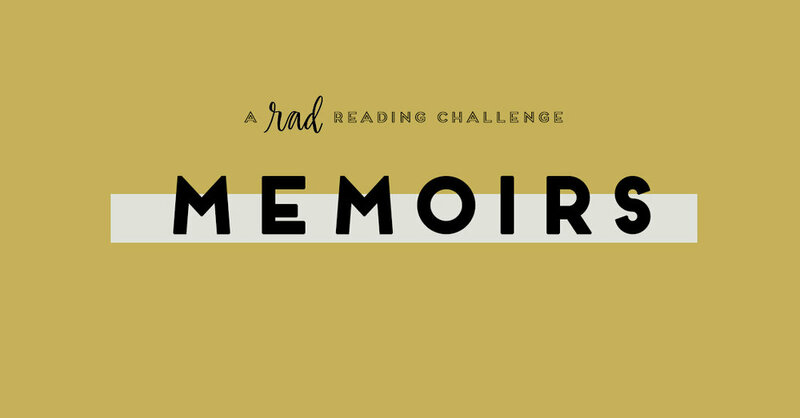 I’ve crowdsourced favorite memoirs on Instagram, scoured my Goodreads shelves, and brainstormed my own ideas for you — hope you find something to try, or that you’ll share in the comments what you read instead! Educated by Tara Westover (review) — this tied with Becoming (see below!) as MOST RECOMMENDED from bookstagram friends! Find all the memoirs I’ve read on Goodreads here! What memoir are you planning to read? !